, a Fairfax-owned paper, found ads on the ABC’s various YouTube channels from brands such as Colgate, Cadbury, Dior, Suzuki, Subway, Subaru and more. These are either pre-roll videos before the content begins or banner advertisements that appear within the video. 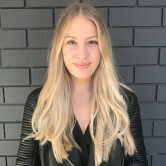 AdNews found ads running on its Triple J page for brands such as Wrigley’s, Grammarly and Norwegian Cruise Lines. The ABC is prevented from running advertising on its broadcast and on-demand app iView, but the same restrictions do not apply to the Google-owned video platform. 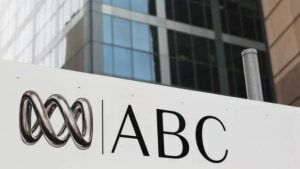 “In accordance with the ABC Act, all content on ABC platforms and services is advertisement free,” a spokeswoman for the ABC said. “In recent years, the ABC has made some of its content available on third-party platforms and services to ensure we remain relevant, engaging and accessible to all Australians by offering them high-quality and distinctive content when and where they want it. “Any cost savings or revenue to the ABC is fed back into the organisation to create and deliver more Australian content to audiences." The ABC also uses Apple News to place advertisements around its content. The report follows mounting tensions between commercial media companies and the ABC. The likes of News Corp, Fairfax and Nine don't believe the ABC should be using taxpayer money to boost content on platforms like Facebook and Google. It was recently revealed the ABC spends $2 million on Facebook and Google promotions per year to compete with its commercial rivals. The public broadcaster this year launched a lifestyle platform, which was harshly critcised. Fairfax has previously criticised the ABC for investing in Google AdWords and in turn boosting the profits of multinational corporations. Both public broadcasters, the ABC and SBS, are undergoing an efficiency review of their operations led by former Foxtel boss Peter Tonagh and Australian Communications and Media Authority acting chair Richard Bean. The ABC has been outed by Fairfax for running ads on its YouTube channel, despite restrictions in place that prevent the broadcaster from having ads on its own channels. A report in the Sydney Morning Herald, a Fairfax-owned paper, found ads on the ABC’s various YouTube channels from brands such as Colgate, Cadbury, Dior, Suzuki, Subway, Subaru and more.